“It’s by riding a bike that you learn the contours of a country best.” Ernest Hemingway must have thought of Flanders when he said this. This beautiful region with its bergs and cobbles is the alpha and omega of cycling. We pretty much invented the sport. So what region could be better for a unique cycling trip? Here’s why. You can sum up Flanders’ springtime in three words: cycling, cycling and cycling. Omloop Het Nieuwsblad is the start of the spring classics. 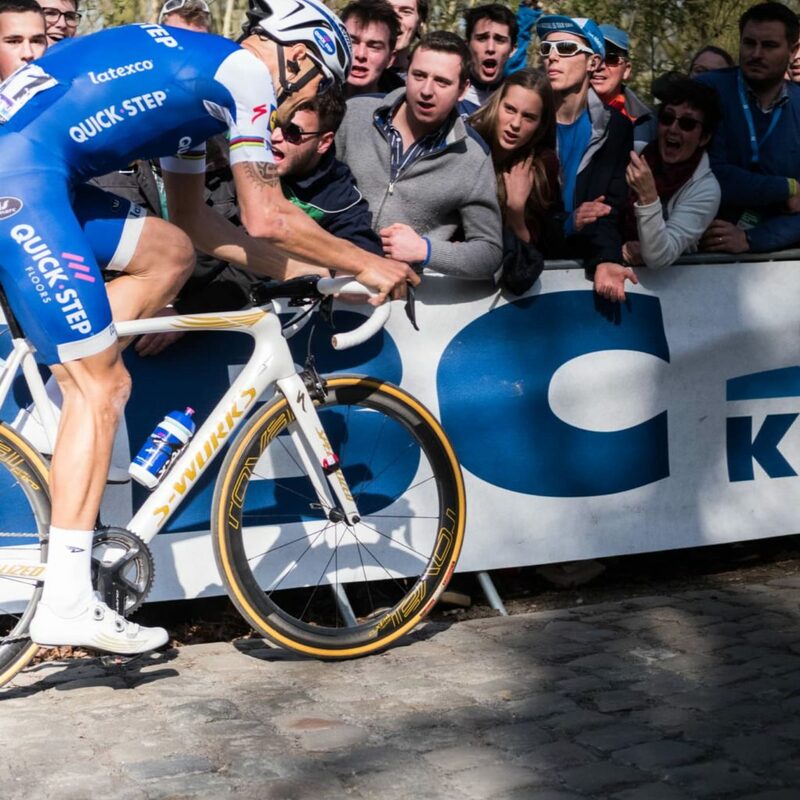 After that, we brace ourselves for weeks of cycling sport with unique races such as E3 Prijs and Gent-Wevelgem. This traditionally builds up to the Holiest of Sundays: the Ronde van Vlaanderen. This is the race that turns boys into men and men into heroes. It’s not just a cycling competition, but part of our culture and history. Channel your inner Greg Van Avermaet and feel like a true Flandrien: join in on a cyclosportive. That’s an organized cycling tour, over different distances. Most of the spring classics organize one on their track, which makes you feel as if you’re part of the peloton. Aside from these classic cyclosportives, you’ll find plenty of original alternatives like The Golden Flandrien or a retro race such as the RetroRonde. If you want to conquer the Flemish roads without too much fuss: select your own cycling experience. The Greeks may have Achilles, Pericles and Hercules, Flanders has Briek Schotte, Eddy Merckx and Tom Boonen. And they deserve to be honoured as the heroes they are. Especially in East- and West-Flanders you’ll find statues, monuments and plaques saluting our two-wheeled gladiators. 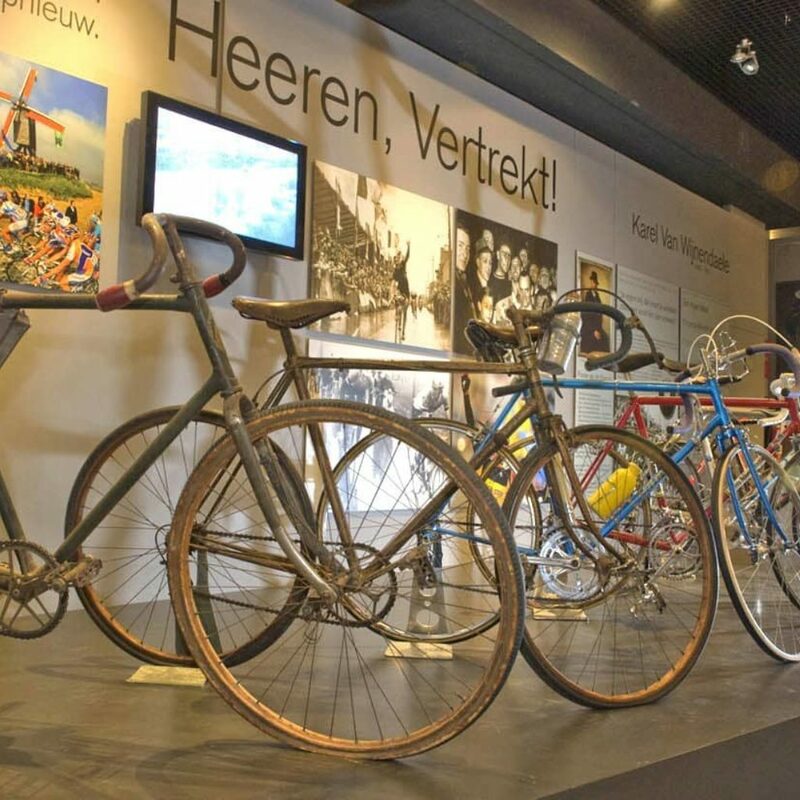 If you really want to deepen your knowledge, visit one of the great cycling museums. Normally WieMu offers an excellent education, but they’re closed for renovation in 2017. Up until reopening, you can visit their great exhibition Cycling is religion, in a church by the way. Centrum Ronde van Vlaanderen is an excellent alternative if you want to know all about Flanders’ finest. 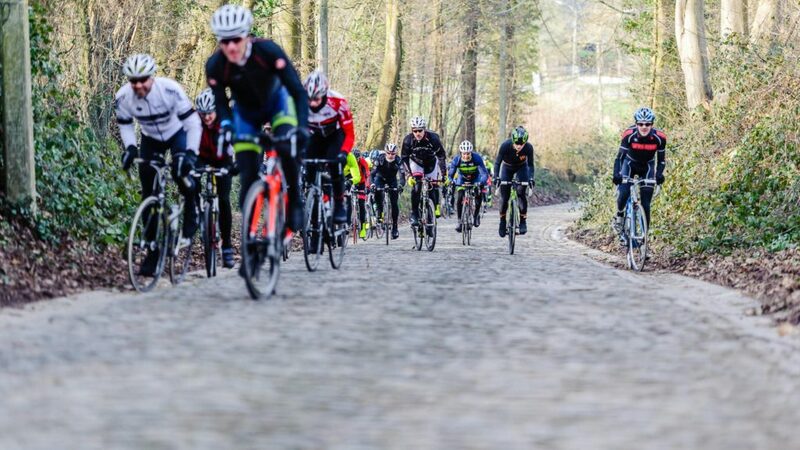 As if those amazingly steep and nasty hills aren’t tough enough, in Flanders they’re filled with cobbles. It just doesn’t make sense for non-Flandriens. To us this terrain for cycling would be considered inhumane in many other cultures. Yet, these are the fundaments of the sport. 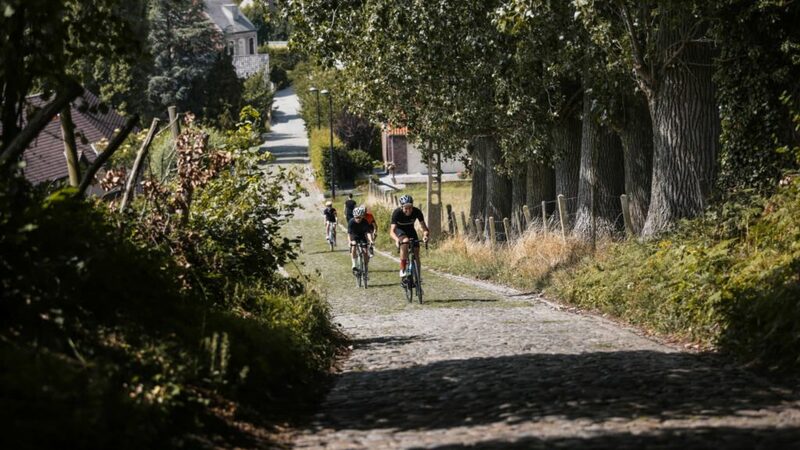 Don’t go home without experiencing the four K’s of Flandrien heritage: the fabled Koppenberg, the everlasting Kwaremont, mythical kapelmuur and ferocious Kemmelberg. After that you’ll be KO, consider that the fifth ‘K’. 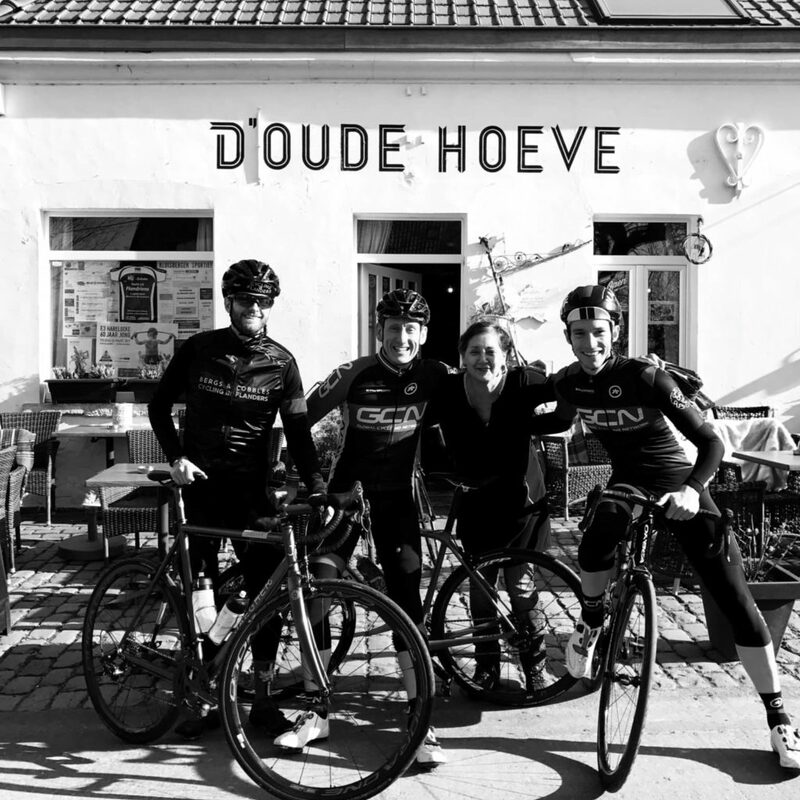 Gastronomy and the good life are part of Flanders’ DNA, just like cycling is. So obviously, we like to combine both. Sip on one of the many cycling themed beers such as Kwaremont, Giesbaargs Muurken and Koerseklakske (which translates as ‘racing cap’). You can taste them at a typical cycling bar. A tip: Eric Vanderaerden’s victory in the 1985 Ronde van Vlaanderen will always start an hour-long conversation. So, first conquer the cobbles, then quench your thirst.